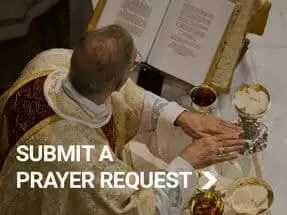 We are an active-contemplative Franciscan community dedicated to adoring Jesus our Eucharistic King, while striving to observe the Gospels in imitation of St. Francis through a life of poverty, chastity, and obedience for the sake of the Kingdom. The Knights were founded by Mother Mary Angelica of the Annunciation, P.C.P.A., on July 25, 1998, feast day of St. James. The spirit of St. Francis, the “Knight-Errant of Assisi,” became a role model for the new Knights; this spirit was demonstrated by St. Francis’ deep sense of faith, fiery enthusiasm for Christ, and readiness to battle for His kingdom on earth. We live our lives based on eight foundational pillars. The Knights’ intellectual formation is not just for themselves, but for the service of the Church and of the world. 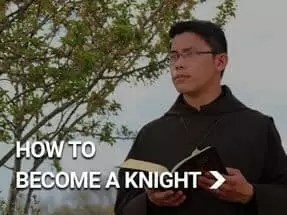 What the Knights are learning will aid them in their important mission. The intellectual life exists in a mutual relationship with the spiritual life, each enabling the other to reach greater heights. At the heart of this formation is the aim to develop more and more a personal knowledge of Jesus Christ. 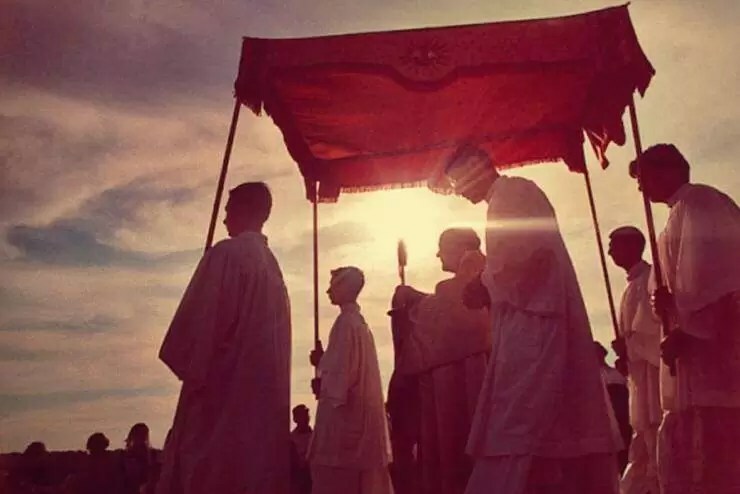 The Knights are to be well trained in serving both the Extraordinary Form (Traditional Latin Mass) and the Ordinary Form (Novus Ordo) of the Mass, so that they are ready to train servers giving Our Lord due reverence and devotion. Men between 18-30 seeking to rekindle and deepen their relationship with God can visit for a “Tour of Duty”. Partake in the life of service and adoration. It's a unique opportunity to "pilgrim" with the Knights as they work, pray, and live together in community. The future of the world and of the Church passes through the family. The Knights get involved in youth ministry at local parishes and Summer Leadership camps. Young people need to see the Faith joyfully lived out. Life is a journey through time, but it is also, for each soul, a journey from what a man is to what God intends him to be. Some men struggle to discern whether God has called them to the priesthood or the consecrated life. We offer counseling to help them find clarity. The Knights are joined to the Holy Catholic Church as branches to the stem, and therefore acknowledge and humbly respect the authority of her pastors, especially the Bishops of the places where the Knights live and work. Through prayer, penance, and the work of their apostolate, the Knights promote the spiritual good of the Universal Church. The Knights often speak at many events throughout the year. They also speak on radio as well as filming a video series on True Devotion to Mary according to St. Louis de Montfort. 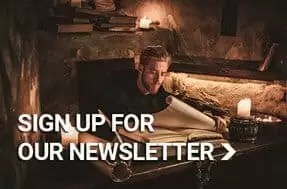 They want to make this available to everyone and anyone who wants to join Our Lady's army during these times. Giving back to the community and church. Join our community for a TOUR OF DUTY in Waverly Nebraska. Partake in our life of work and prayer. It’s a unique opportunity to “pilgrim” with us as we strive to be the saints God created us to be! 03may7:15 pmPink Sisters Holy HourJoin us for an hour of adoration offered for vocations. Description Monthly Mass 6pm on the Third Thursday, followed by refreshments and fellowship. We recently added a new page to our site. This amazing page has daily Eucharistic reflections, 366 in all (including one for leap year!). Be inspired every day of the year! 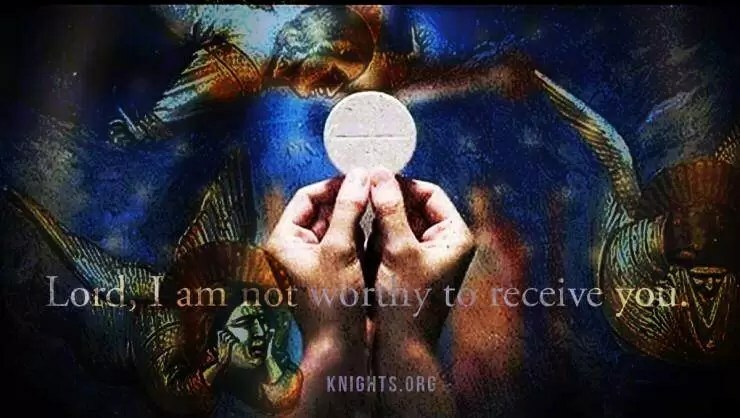 Visit the page: https://www.knightsoftheholyeucharist.com/daily-eucharistic-reflections/.